Walmart CEO Doug McMillon has said that the Flipkart-Walmart deal will create around 10 million jobs in India. This includes both direct and indirect jobs. Walmart CEO Doug McMillon has said that the Flipkart-Walmart deal will create around 10 million jobs in India. This includes both direct and indirect jobs. The US-based retail behemoth Walmart on Wednesday announced that it will buy a 77 per cent stake in Indian e-commerce major Flipkart for $16 billion. Flipkart Group CEO Binny Bansal said that there is a lot that Walmart can take from Flipkart including its payments play. Bansal added that listing Flipkart is on management team's plan and investors like Tiger Global, Accel and Tencent are excited about the IPO. "IPO is a great way to unlock the value." While the deal will allow both retailers to benefit from each other's expertise, it also promises to help the Indian economy in terms of job creation, increasing farmers' income and promoting national initiatives including 'Make in India', as per a joint statement by Walmart and Flipkart. "As Walmart scales in India, the company will continue to partner to create sustained economic growth across agriculture, food and retail. Future investments will support national initiatives and will bring sustainable benefits to the country," the Bentonville, Arkansas-based retail behemoth said in its statement. On the issue of job creation, Walmart India said that it will create jobs by developing supply chains and commercial opportunities. The company also said that it will create new direct jobs with its investment in India. 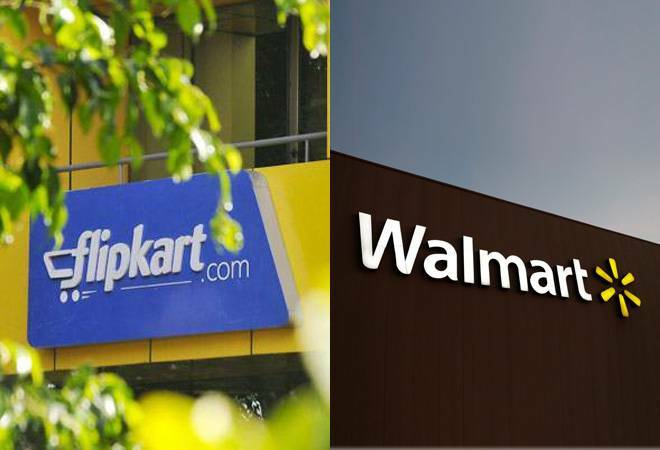 Walmart said that its collaboration with Flipkart will also support small businesses by procuring directly from them. The company said that it will support farmer by sourcing its inventory locally. The deal will also see significant input into supply chain, with focus on cold storages, to check wastage of perishable agricultural produce. Walmart will also partner with kirana owners in India to help them reform their retail practices and adopt digital transaction technologies, the statement said. The US-based retail giant also promised to provide a leg-up to Modi government's 'Make in India' initiative under its investment in Flipkart. Walmart announced signing definitive agreements to own 77 per cent stake in Flipkart for an investment of $16 billion, while the rest will be held by latter's existing shareholders. This includes $2 billion new equity funding for Flipkart to use for fuelling its growth in future. Both companies will maintain separate brands and operating structures after the deal. While co-founder Sachin Bansal has exited after selling his 5.2 per cent stake to Walmart for around $1 billion, his partner Binny Bansal remains on Flipkart board with his 5.1 per cent share. Softbank, which invested $2.5 billion last year for 20.8 per cent stake in Flipkart, has also opted out. Other shareholders - Tencent Holdings, Tiger Global Management, and Microsoft Corp - will retain a part of their stake in the company, selling most of it to Walmart. The deal now awaits regulatory approval for culmination.